This stylish little bag is made of heavy-duty nylon with lots of spaces for different colors of yarns, unfinished small projects, crochet hooks, and other accessories. Put balls of yarn in the zipper side and store your unfinished project on the open side. 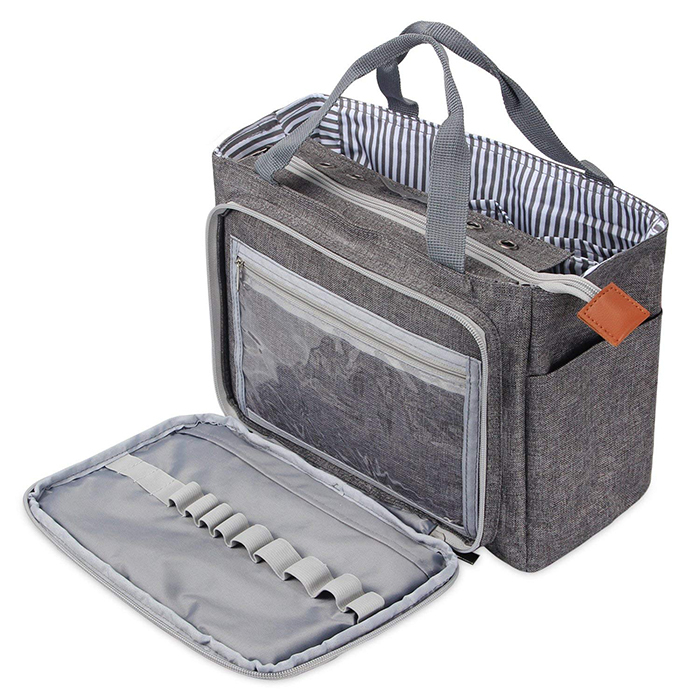 Great for carrying smaller projects like socks, dishcloth, scarf or other smallish project you’re working on. It has 4 grommets to thread yarn through and a set of hook-and-loop straps to keep the yarn in place when not crocheting or knitting. Amazon CA – CDN$ 29.99! This board blocks from 1/2″ to 8″ in 1/2″ inch increments and ships with a free stand for convenient storage. The backside of the board is fully felt protected. The pins are now made from stainless steel with snag-free rounded ends that fit perfectly into each hole. Includes a limited lifetime warranty and the ability to return the item at any time during the first year for up to 100% of the purchase price in the form of store credit. 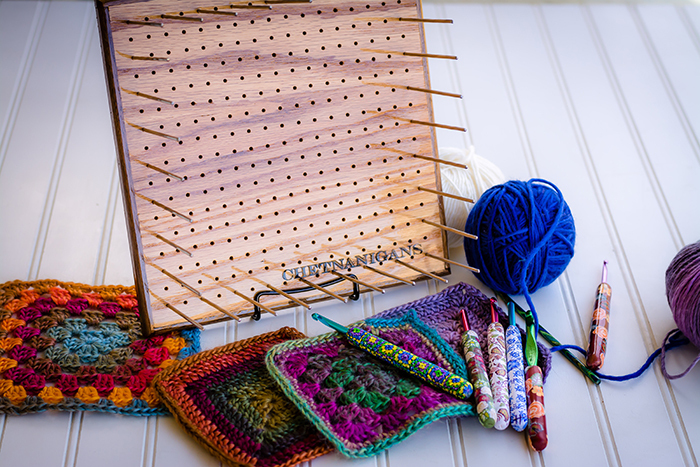 Do you like to knit or crochet while you are a passenger in the car? 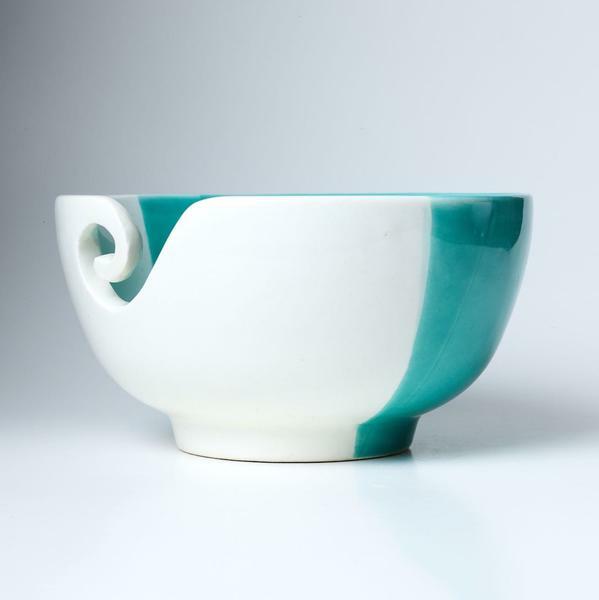 If so, this yarn bowl with the Traveller attachment is perfect for you! It is made to fit into a car’s cupholder and is off-set to avoid interference with the driver’s coffee cup. You can detach the Traveller from the bowl and use the bowl by itself. 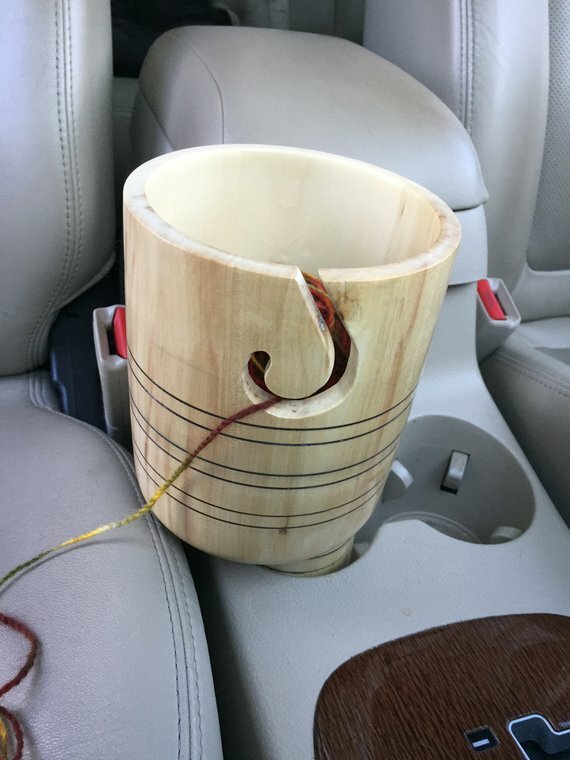 Both yarn bowl and Traveller are hand turned, sanded, and polished with woodturner’s finish and wax to highlight the natural beauty of the wood. Each piece has been signed and marked with year made and type of wood. Beautiful, handmade wooden needle cases for organizing your embroidery, sewing, and assorted needles! The large needle cases measure 1″ in diameter and 3.65″ tall. 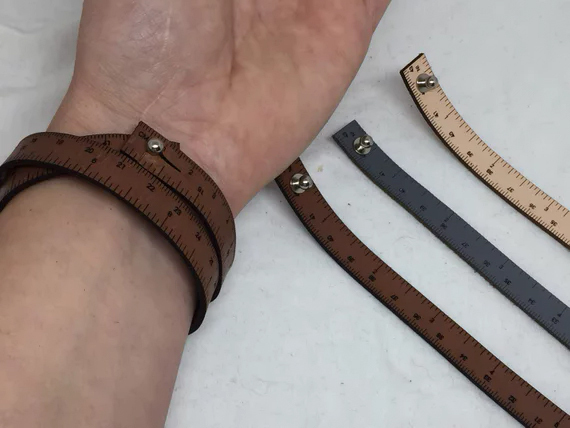 The small needle cases measure 0.65″ in diameter and 3.125″ tall. Both capsules can hold 30-40 sewing needles. FurlsCrochet.com – Starting at $9.00! From his rosy pink cheeks to his sparkly golden horn — he wants to help you create crochet magic! 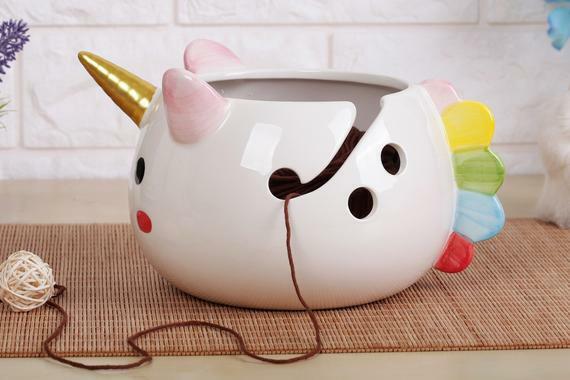 This yarn bowl is just so adorable and awesome! Grab one for your favorite fantasy loving yarnie! Get your own yarn bowl from the affiliate link below. These W.I.P markers allow you to mark the project with the correct crochet hook or knitting needle size so you will know which hook or needle to grab when you go back to your project. Never forget what size you were using again! The marker attaches directly to the worked stitches by carefully going around the yarn strand (do not hook through the strand). Get your own set from the affiliate link below. Click here for more creations from this artist. These are so cool! 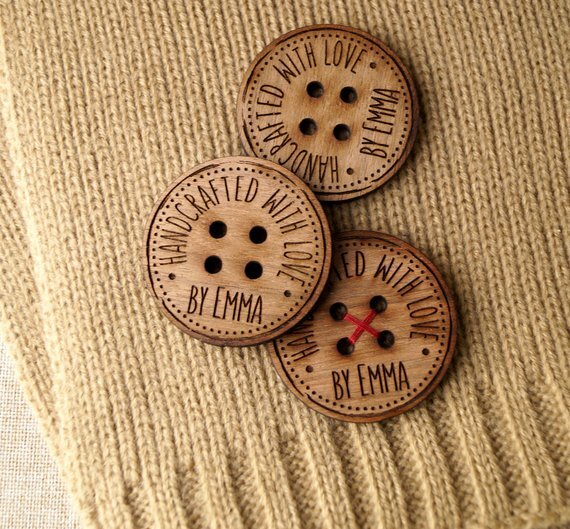 Check out these personalized wooden buttons for knitted and crocheted items! These buttons are made from 3mm thick wood and are laser engraved with your text or logo. 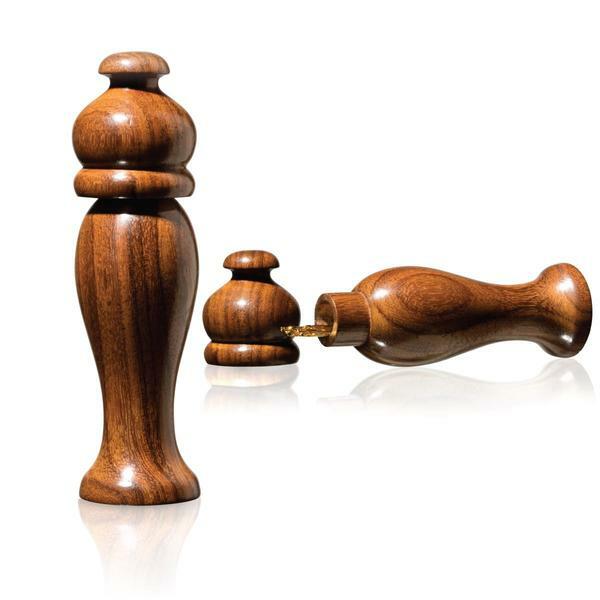 Material choices include beech, cherry, mahogany, oak, walnut and wenge. Each order includes 25 – 1″ buttons! 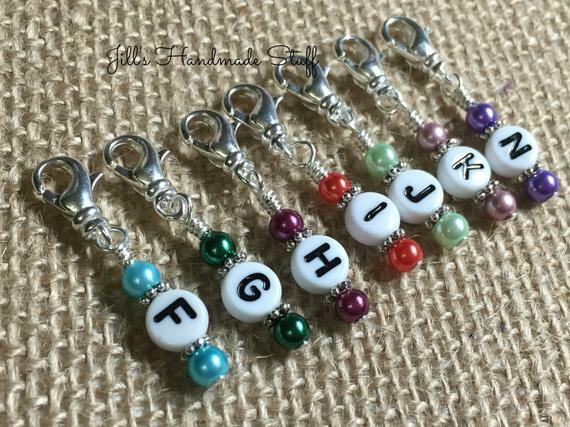 Etsy.com – Set of 25 – $18.00! This beautiful handmade yarn bowl is fantastic for keeping your yarn tangle-free while you crochet! Measures 6″ x 6″ x 4″ and weighs 1lb. 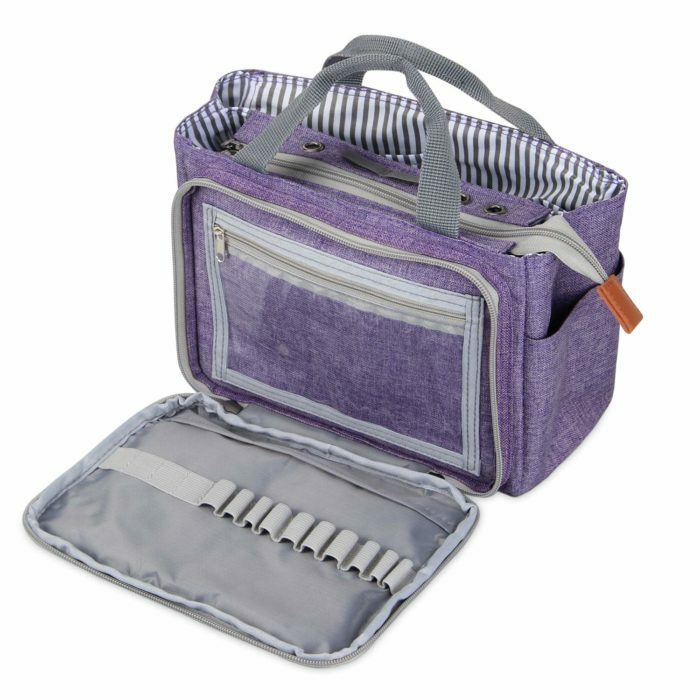 With a lot of spaces for different colors of yarn, unfinished small projects, crochet hooks and other accessories, this heavy-duty nylon crochet bag is perfect for projects on the go! It comes with four grommets for threading yarn through. Dimension: 9.5″ x 4.5″ x 7″ / 0.66 lbs. Lots more photos at the links below! Amazon USA – $22.99! Free Prime shipping available!